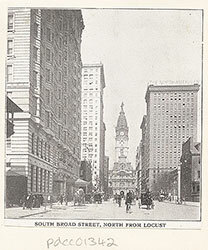 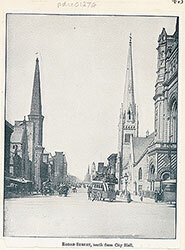 View of Second Street, north from Market Street, with Christ Church. 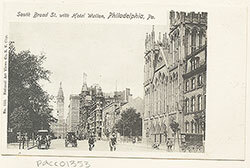 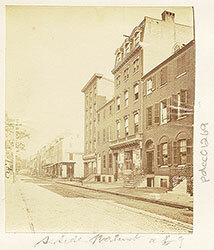 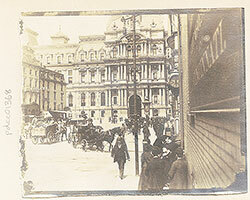 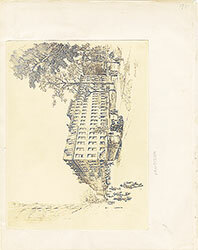 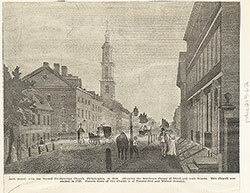 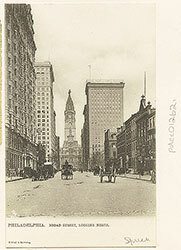 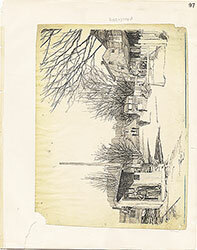 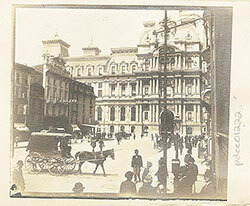 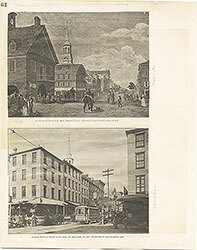 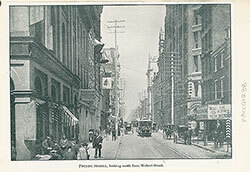 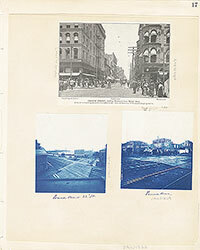 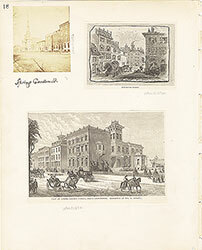 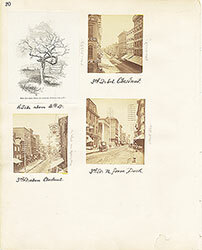 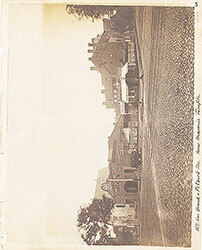 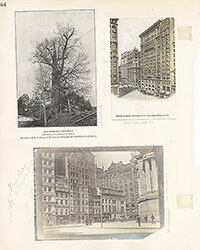 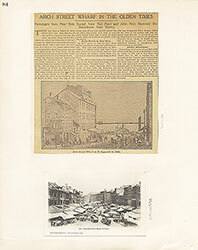 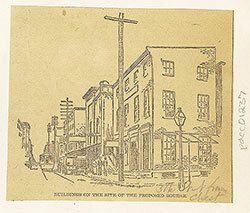 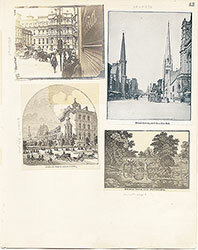 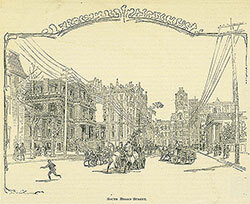 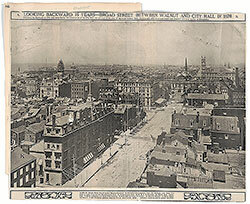 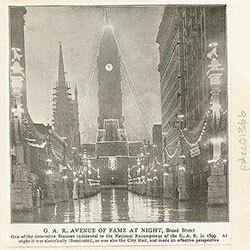 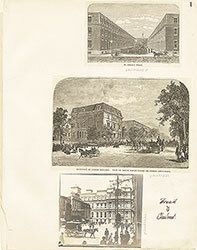 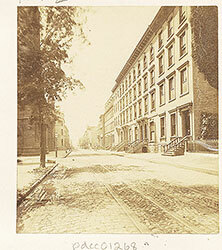 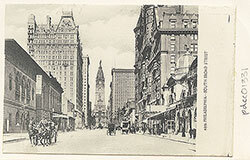 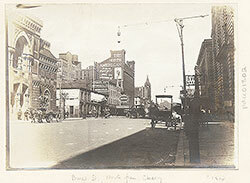 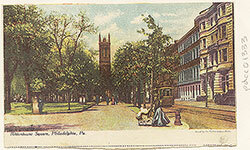 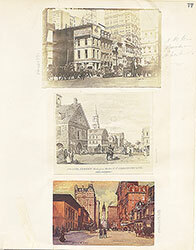 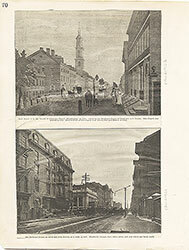 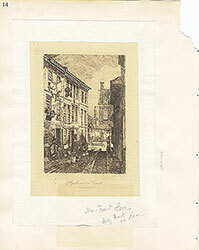 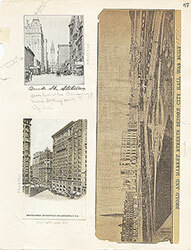 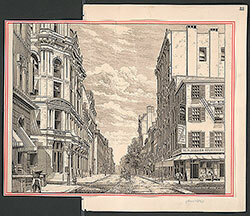 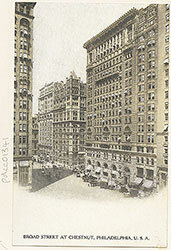 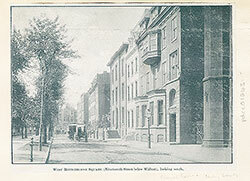 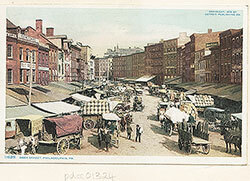 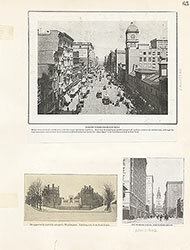 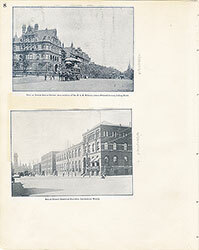 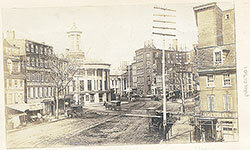 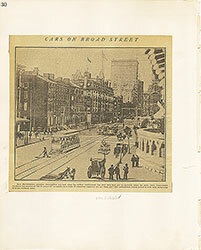 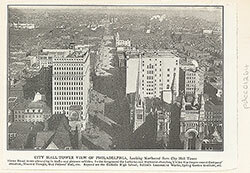 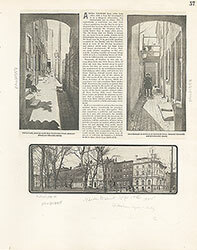 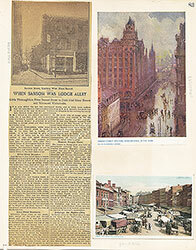 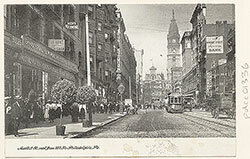 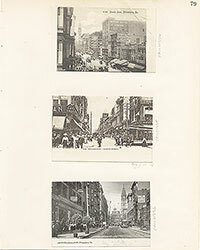 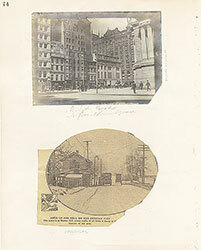 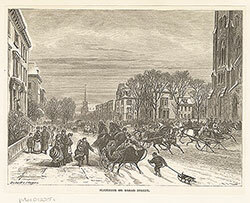 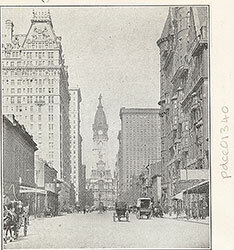 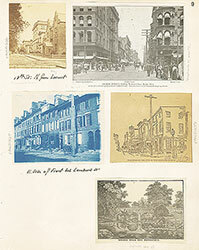 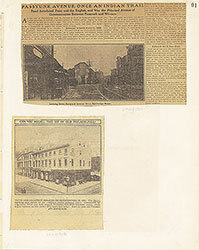 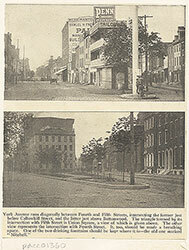 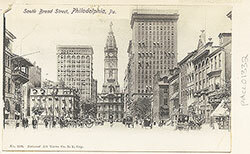 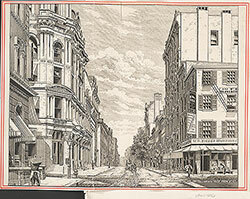 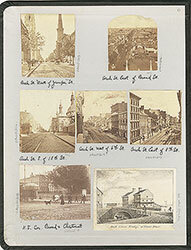 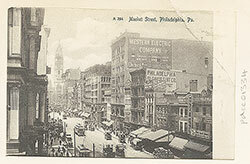 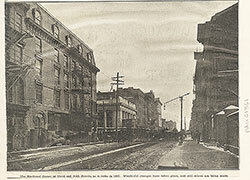 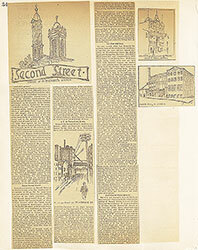 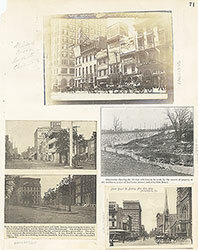 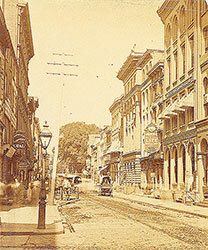 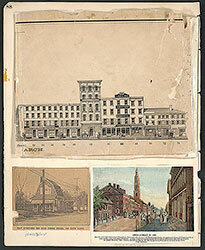 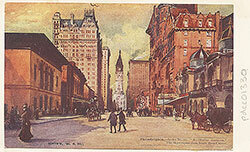 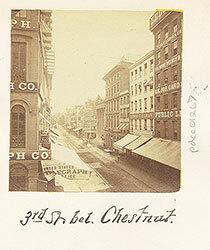 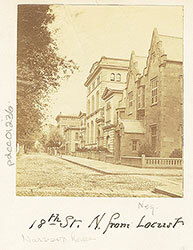 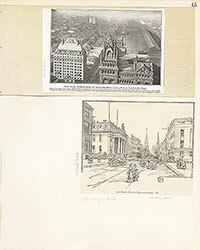 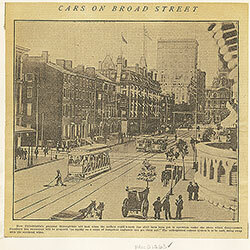 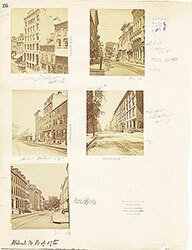 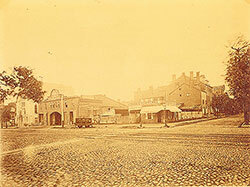 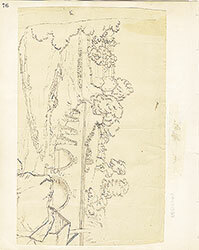 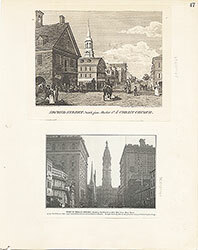 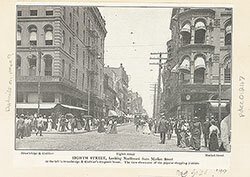 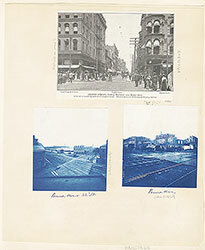 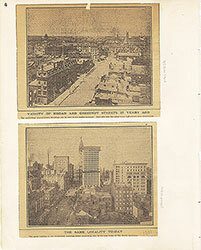 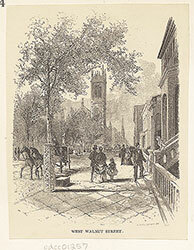 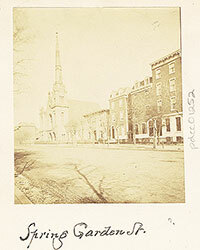 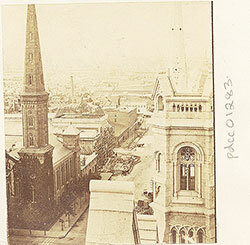 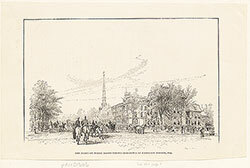 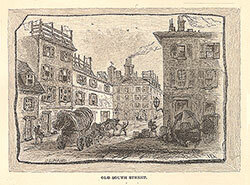 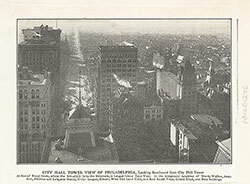 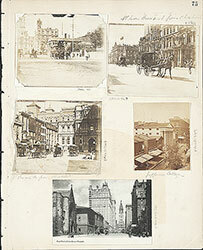 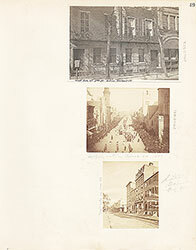 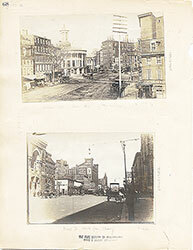 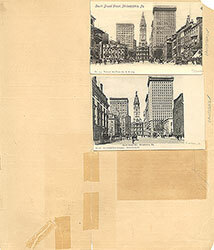 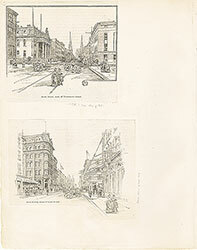 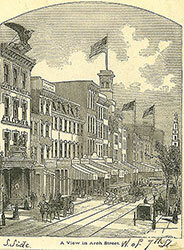 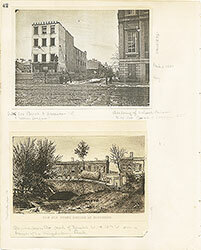 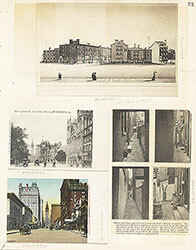 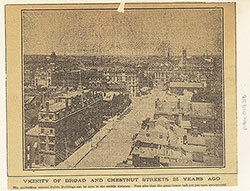 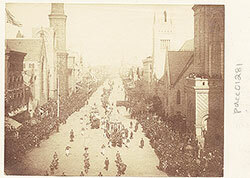 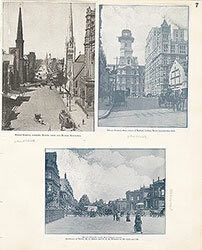 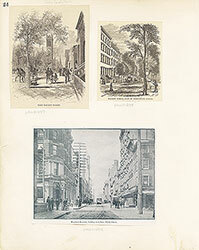 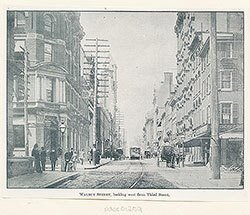 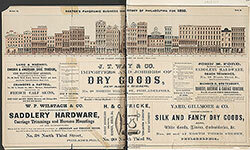 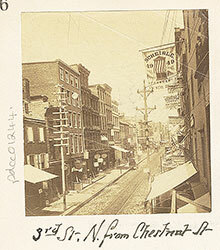 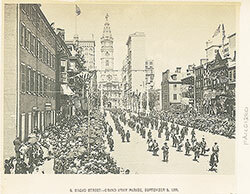 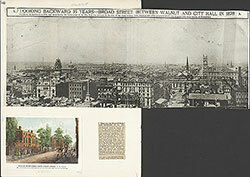 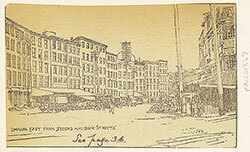 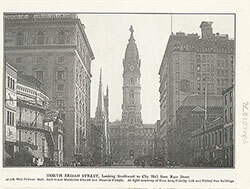 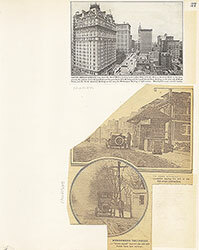 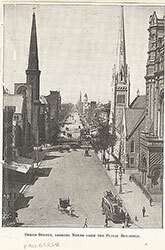 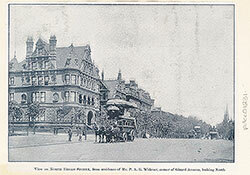 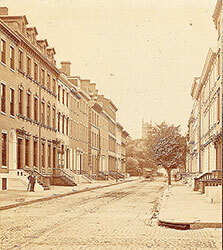 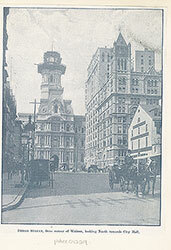 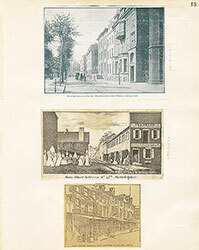 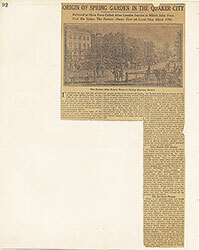 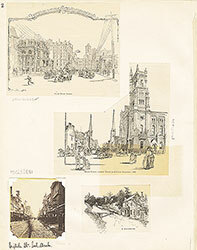 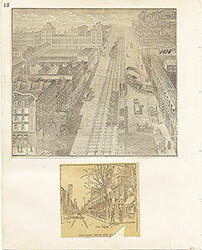 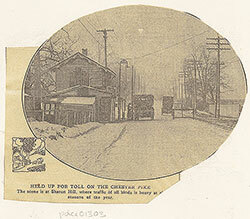 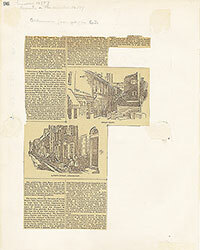 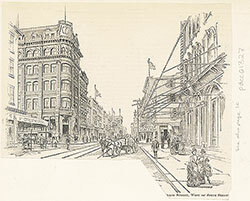 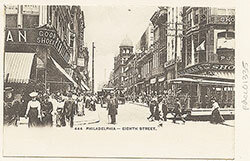 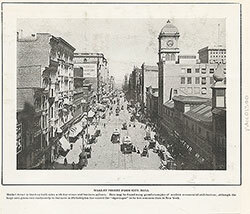 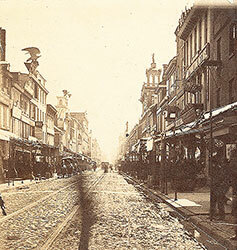 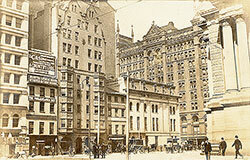 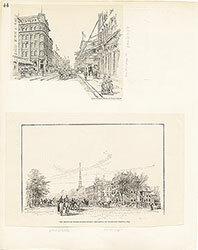 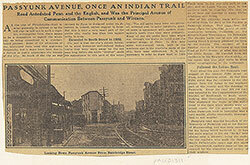 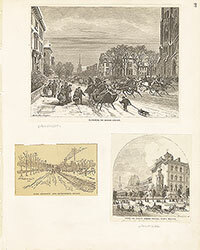 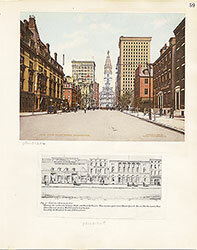 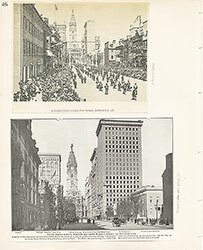 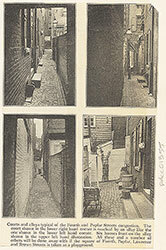 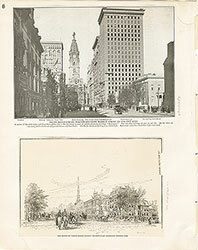 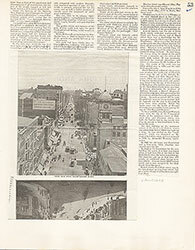 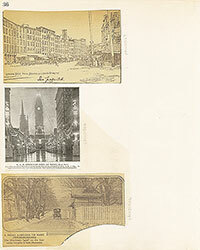 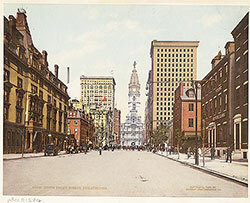 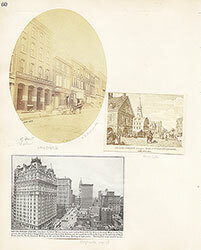 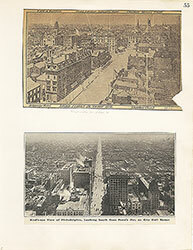 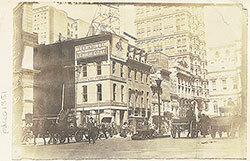 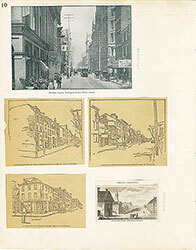 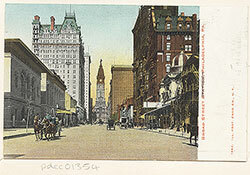 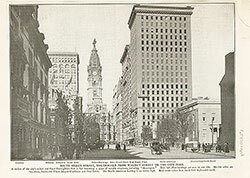 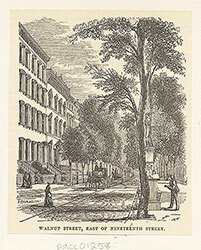 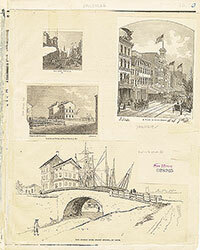 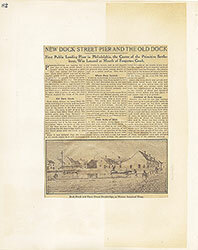 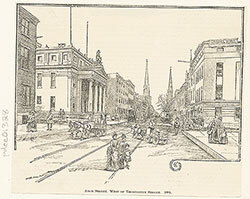 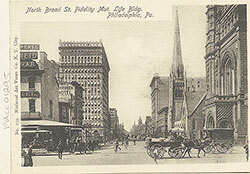 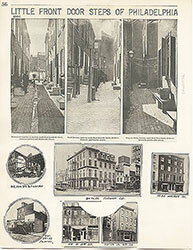 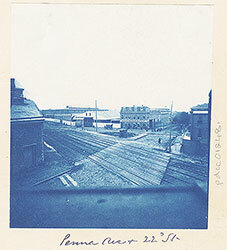 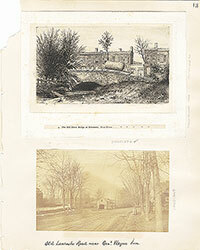 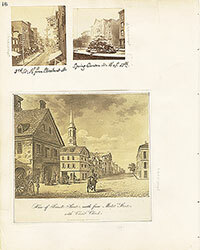 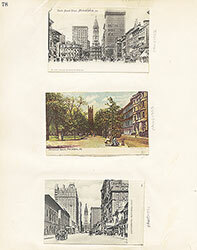 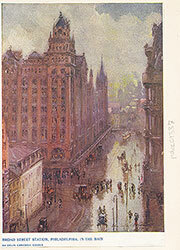 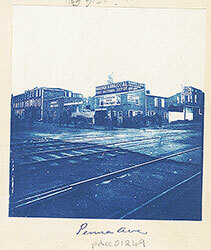 Title: View of Second Street, north from Market Street, with Christ Church. 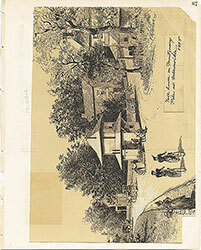 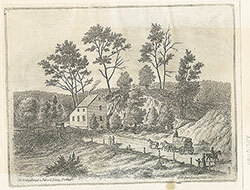 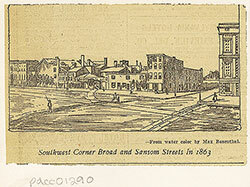 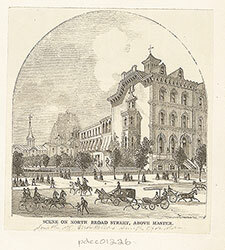 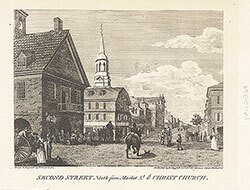 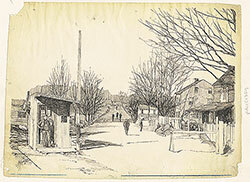 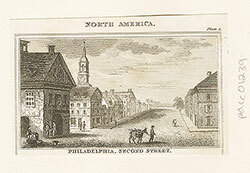 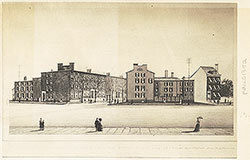 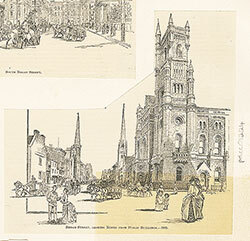 Depicts a view of 2nd Street, north from Market Street showing Christ Church in the middle-distance. 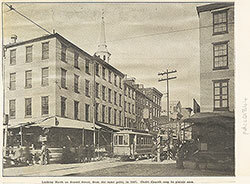 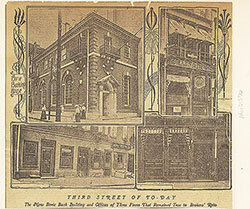 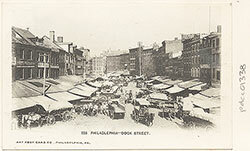 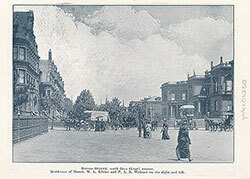 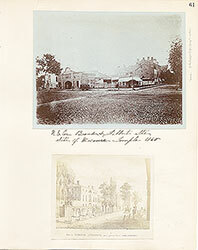 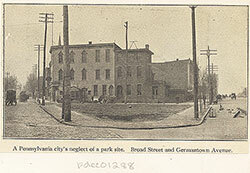 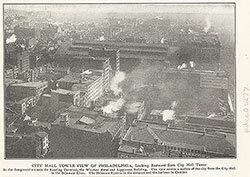 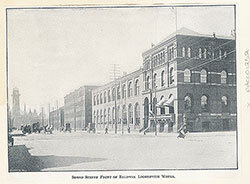 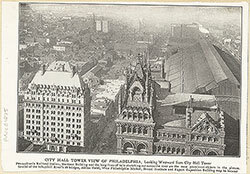 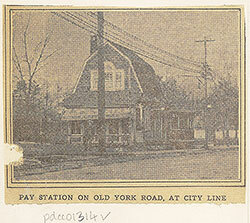 The building on the left housed the city's first permanent market. 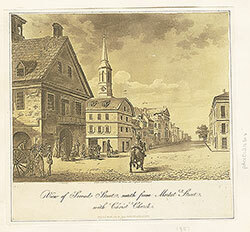 Built 1707-10, the building was occupied by the Town Hall and Courthouse above the arcaded ground floor. 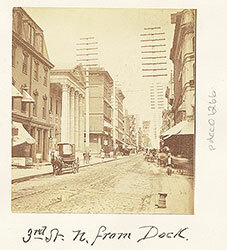 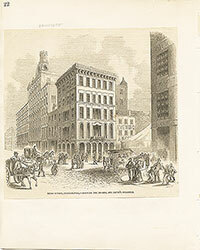 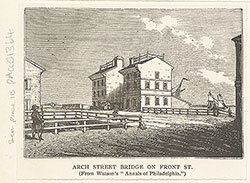 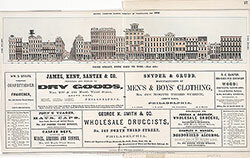 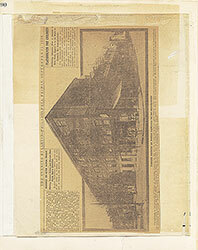 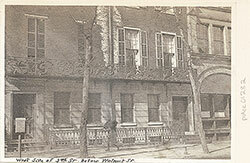 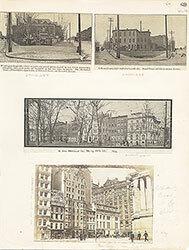 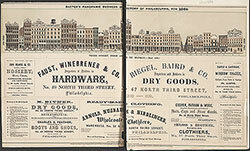 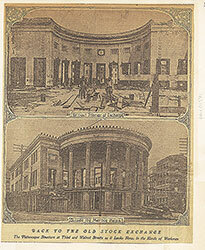 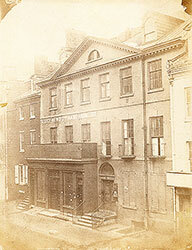 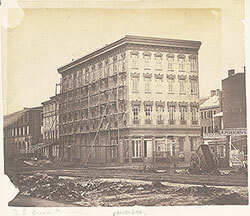 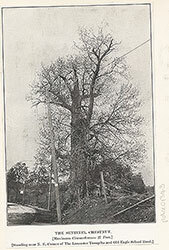 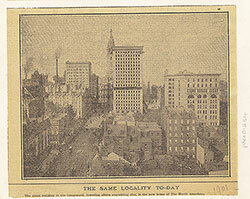 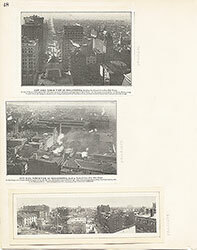 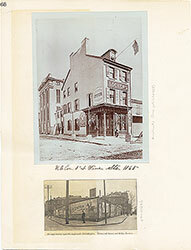 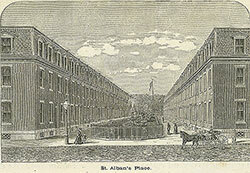 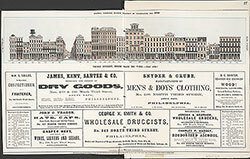 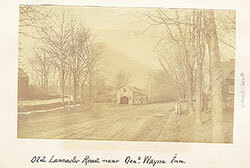 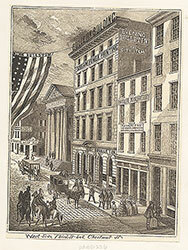 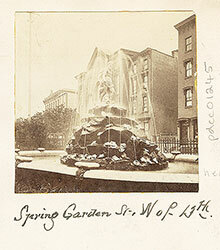 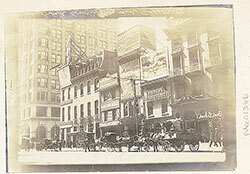 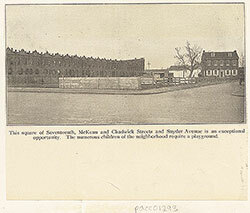 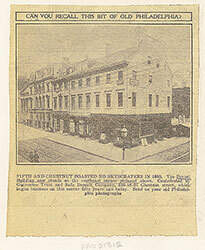 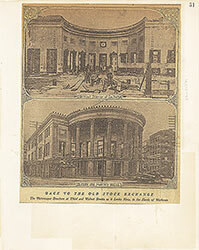 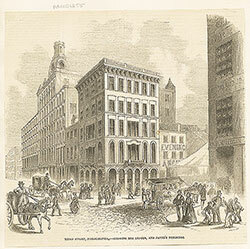 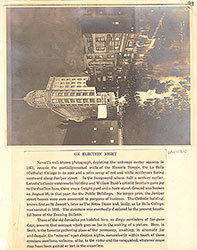 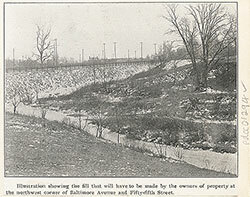 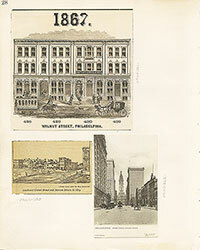 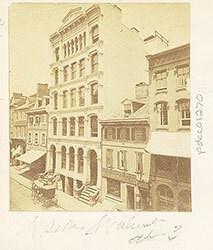 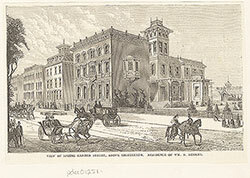 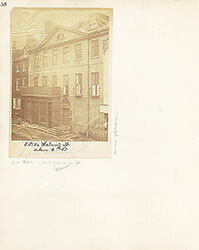 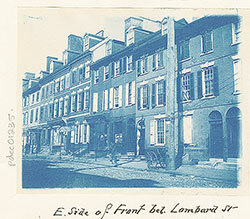 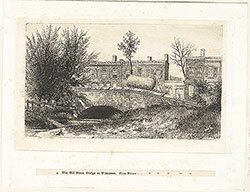 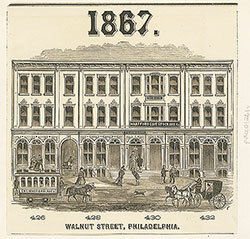 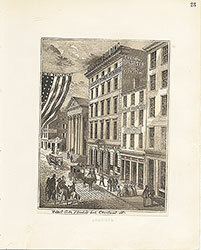 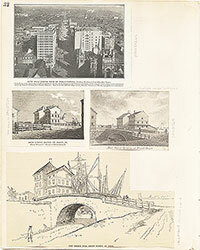 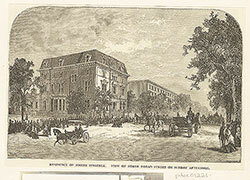 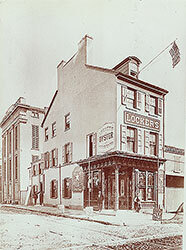 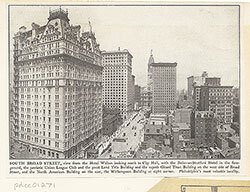 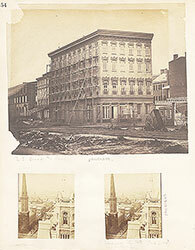 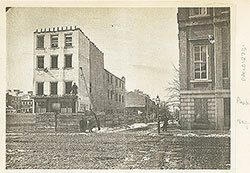 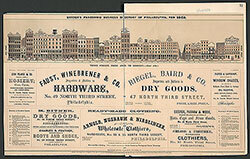 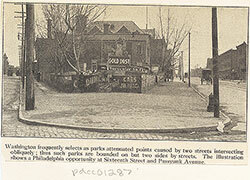 The building was demolished in 1837. 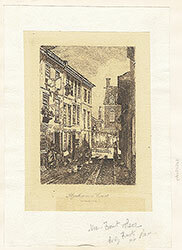 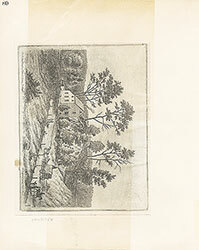 Aquatint with engraved lines by M. Marigot after William Birch's engraving. 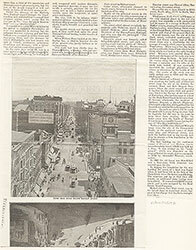 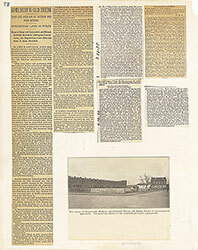 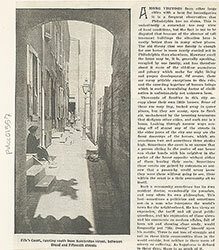 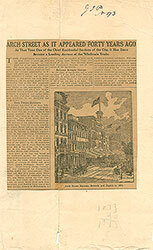 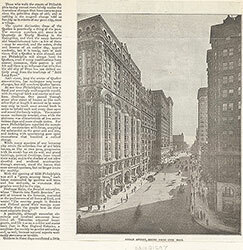 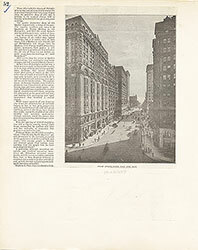 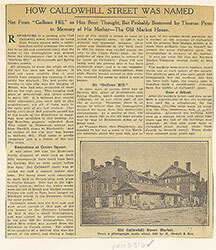 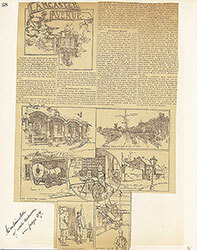 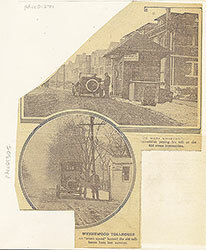 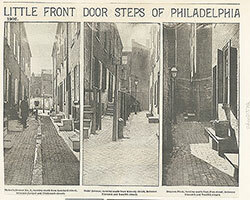 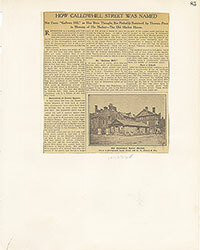 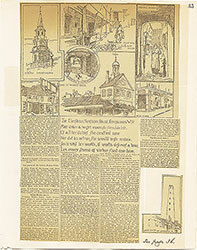 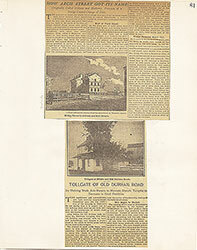 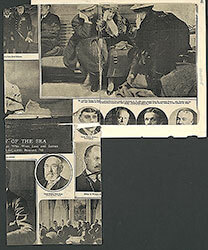 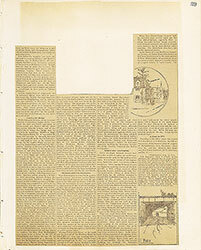 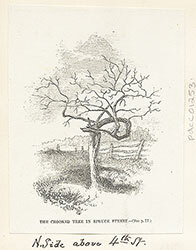 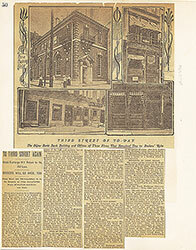 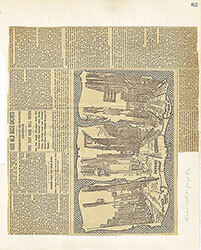 Published in The stranger in America..by Charles William Janson. 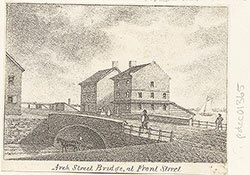 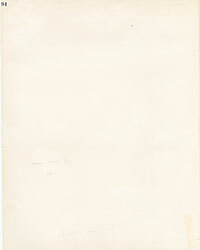 1807. 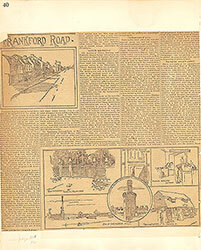 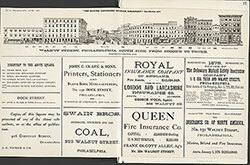 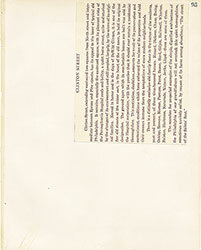 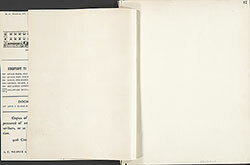 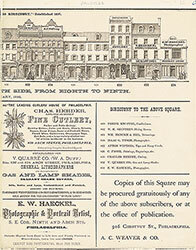 Printed by James Cundee, Albion Press, London.